This season we’re all about adding a colorful twist to the traditional engagement ring. That’s right, we’re talking gemstones! 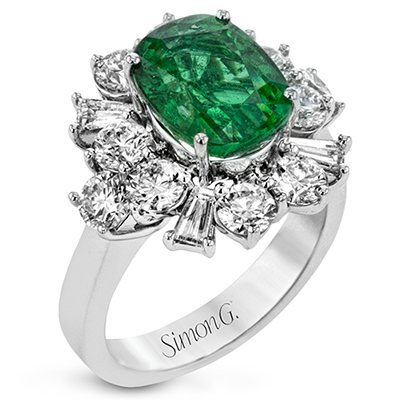 And Simon G. Jewelry has plenty of gorgeous options to choose from, like this stunning 18k white gold ring that features an oval emerald center stone, 1.97 ctw of round accent diamonds and .43 ctw of baguette diamonds. Not sure if you should hop on the trend? Here are some reasons that will make you think again! 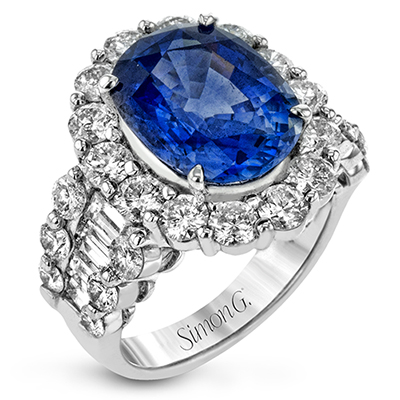 You can choose your birthstone or your favorite color to give your engagement ring an extra type of meaning!